There are three distinct areas around the lake. The German stretch on the north shore, between Bregenz in Austria and the town of Konstanz and the Swiss border, is known as Obersee; Uberlingen, the north-western arm; and Untersee, the 'lower lake' in the south-west. The views from the German shore across to the Swiss Alps are stunning and a 300km pancake-flat cycling path leads from country to country taking in daisy-strewn meadows, billowing wheat fields, Bavarian vineyards and picturesque marinas. 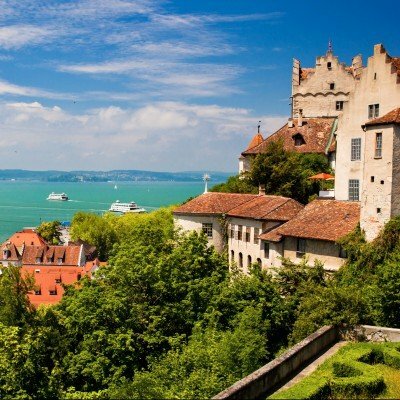 The is a region brimming with history too and cultural highlights include fairytale castles in Meersburg, flower decked palaces in Konstanz and books dating over 1,000 years in St Gallen's UNESCO library! 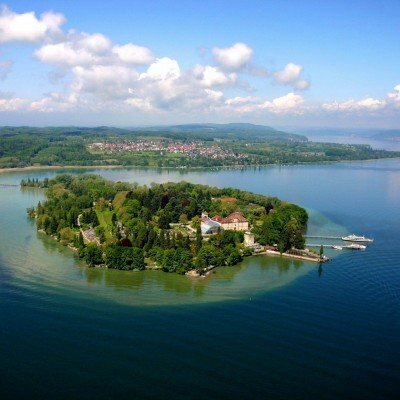 Bordered by three countries, Lake Constance occupies an extremely beautiful corner of Central Europe. Overshadowed by the snow-capped peaks of Austria, Germany and Switzerland, the lake is essentially a bulge in the Rhine - mirroring Lake Geneva, an expansion of the Rhone, at the other end of Switzerland.